A pinched cervical nerve is often noted to be a diagnostic possibility on an MRI report, as a result of a structural compression process enacted by a herniated disc, osteoarthritis syndrome, vertebral misalignment or irregular spinal curvature condition in the neck anatomy. In most cases, the nerve itself can not be visualized, but the surrounding causes and contributors to possible impingement can certainly be seen very clearly. There are many possible names for a pinched nerve in the neck and diagnostic terminologies can become very confusing for affected patients. Here is some of the common nomenclature used to describe this very same spinal issue: Cervical compressive neuropathy, cervical nerve impingement, cervical nerve effacement, mass effect on a cervical nerve, displacement of cervical nerve or compressed cervical nerve. It should be noted that pinched means compressed, which is a definitive possible source of neck pain and related neurological symptoms. Effacement, impingement and displacement might indicate nerve contact, but are not definitive diagnoses indicating that symptoms are sourced. This narrative examines pinched nerves from an objective and fact-based perspective. There are 8 spinal nerve roots in the cervical region of the vertebral column. In fact, there are actually a total of 32 root components, since there are ventral and dorsal roots exiting to the right and left at every vertebral level. These spinal nerves are named for their corresponding bones, C1 to C8. It should be noted that although there is a C8 nerve root, there is no C8 vertebra, since this nerve exists at the intervertebral space between the cervical and thoracic spinal zones, named the cervicothoracic juncture. The nerve roots are the sources of most of the peripheral neurological tissues in our bodies. The roots in the cervical spine go on to serve a huge diversity of neurological functions in the head, neck, shoulders, arms and hands, as well as in certain areas of the upper torso. First, pain, tingling and subjective numbness may occur in the area where compression is taking place and possibly in the anatomical location which corresponds to the area served by the affected nerve root. Next, nerve effects are likely to definitively spread to the innervated area, but may still be present at the compression site, as well. With time, the existence of pain should fade, to be replaced with utter numbness in the area served by the pinched nerve and eventual weakness experienced in the muscles innervated by the victimized nerve structure. 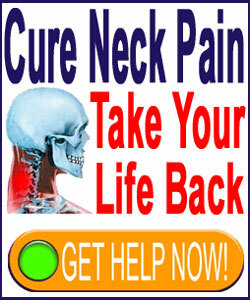 This progression may occur slowly or acutely, depending on many factors, but is should be noted that chronic pain is not a true indicator of a real pinched nerve in the neck or elsewhere. Continued compression will force the nerve signals to cease, resulting in a lack of signal, not a continuing call for distress. 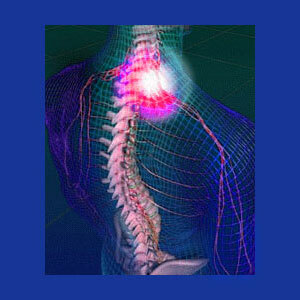 Pinched nerves are some of the most misunderstood of all causes of neck pain. There are many medical mythologies surrounding the truth of a real pinched nerve. So many patients have been diagnosed as suffering from these rather uncommon structural compression syndromes, but many may have been inaccurately diagnosed. In order to better your chances for correct evaluation of any potential pinched nerve neck pain syndrome, it is wise to seek a consultation from a spinal neurologist. These doctors have the niche knowledge and experience to differentiate a true compressive neuropathy from the many other possible processes which might mimic them to some degree. Remember, accurate diagnosis is the first and most crucial step towards finding a real and lasting cure for your neck pain.